Paid pennies an hour to shovel in freezing conditions, prisoners have been a part of Boston’s Snow Removal Response since at lest 2011. The 16+ inches of snow that fell on the Boston area over the past weekend brought the total snowfall for the last month up over seven feet, continuing to cripple the MBTA and public infrastructure. 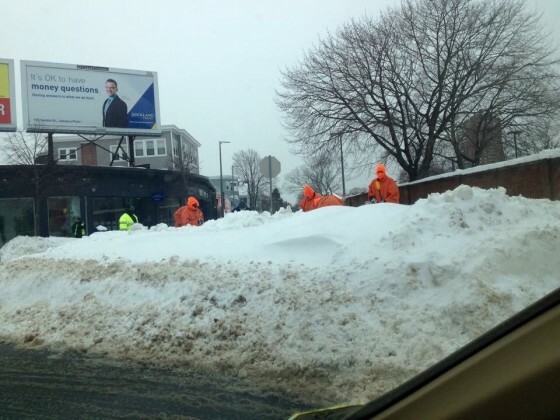 As part of the work crews pulled together to shovel out from the recent storm “about 50 inmates from the Department of Correction are also helping to shovel, the MBTA said” [ More via CBS]. 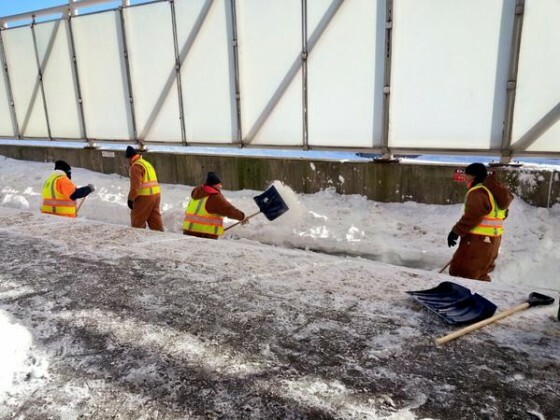 The state has deployed inmates to shovel before, according to city Inspectional Services Department commissioner William Christopher, who said that two four-prisoner crews were sent out around the cityearlier this month to clear paths to fire hydrants and shovel snow off handicapped access infrastructure. “The amount of snow that we got is record-setting and we’ve pulled out every resource from every possible way to clean this situation up,” Christopher said at the time. Further west, inmates in a community service program at a minimum-security prison have helped clear snow from other storms this winter, and as far back as 2011.